with Linda Boothroyd, CSJ, and Irene Desharnais. 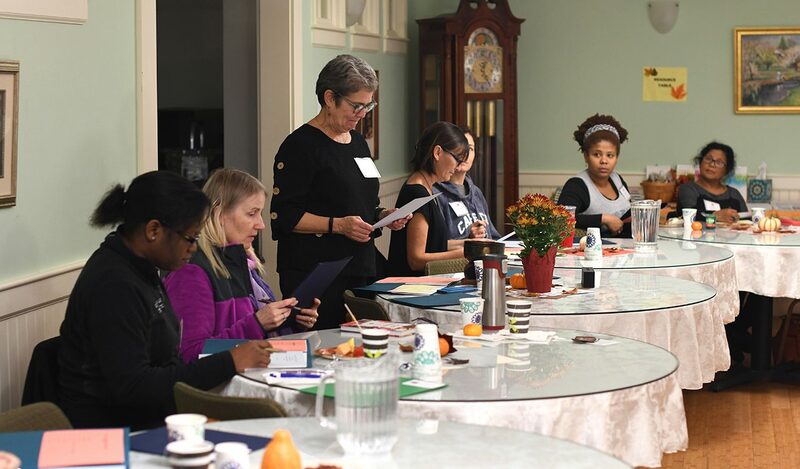 A hardy group of women braved the elements to come together on Saturday, November 3, 2018, for The Women’s Table’s fourth annual day of selfcare, Peace Begins with Me. A lovely breakfast welcomed mothers who came from many areas to enjoy a special day just for them. Julie Nason opened the day with an exercise in mindfulness, which was deeply appreciated as it invited all to slow down, breathe, and just be. 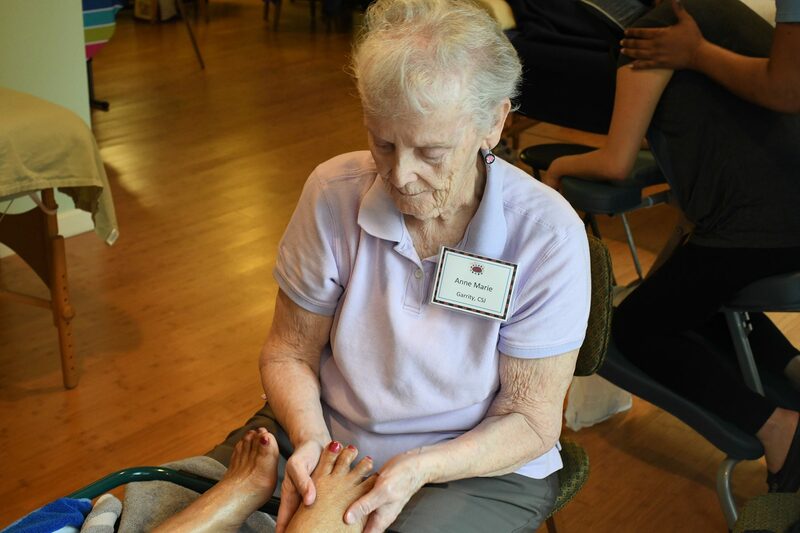 Participants eagerly signed up to take advantage of massage, foot reflexology, guided meditation, creative arts, and yoga. Facilitators generously gave of their time and shared their areas of expertise – many saying that they would not miss this day! 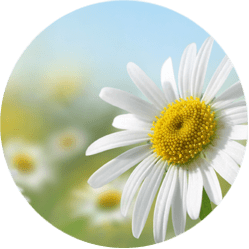 Women caring for women – what gift! Our tireless volunteers were present and attentive to every need. It was a day that resonated with our charism – a day cherished by all present. It is truly amazing what can happen when all work together to affirm and care for each other. PICTURED: Jacquelyn McCarthy, CSJ, is sworn in by Edward Palleschi. 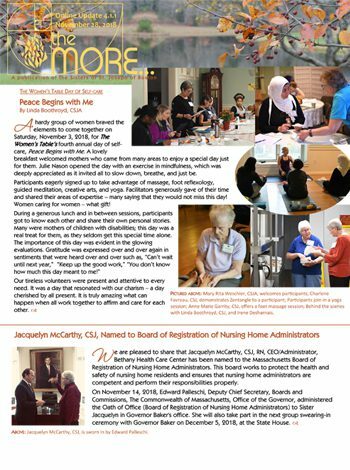 We are pleased to share that Jacquelyn McCarthy, CSJ, RN, CEO/Administrator, Bethany Health Care Center has been named to the Massachusetts Board of Registration of Nursing Home Administrators. 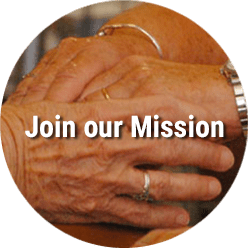 This board works to protect the health and safety of nursing home residents and ensures that nursing home administrators are competent and perform their responsibilities properly. 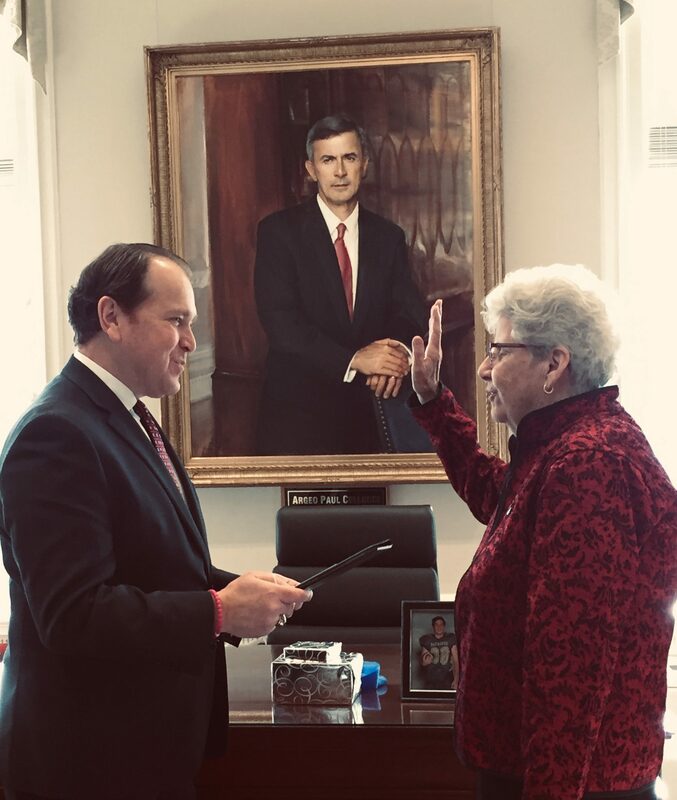 On November 14, 2018, Edward Palleschi, Deputy Chief Secretary, Boards and Commissions, The Commonwealth of Massachusetts, Office of the Governor, administered the Oath of Office (Board of Registration of Nursing Home Administrators) to Sister Jacquelyn in Governor Baker’s office. 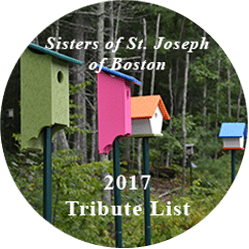 She will also take part in the next group swearing-in ceremony with Governor Baker on December 5, 2018, at the State House. 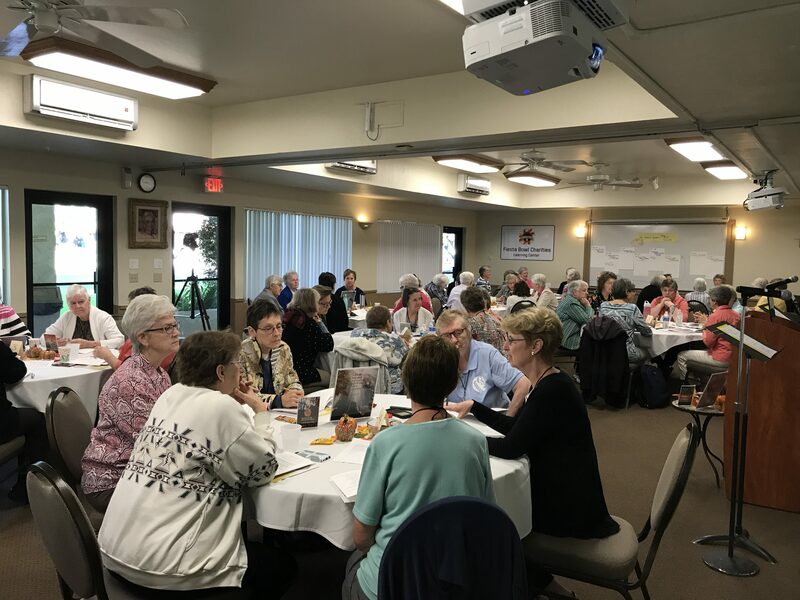 From November 4 – 8, Denise Kelly, CSJ, and I had the great blessing of attending the CSSJ Federation Leadership Assembly at the Franciscan Renewal Center in Scottsdale, Arizona. Lively conversation and an experience of deep communion were abundant throughout our four days together. 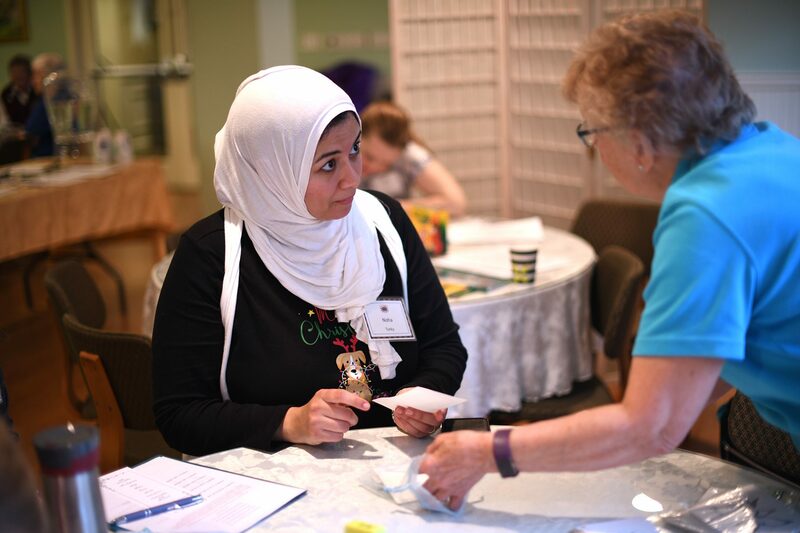 We felt an instant bond of sisterhood with those we were meeting for the first time. 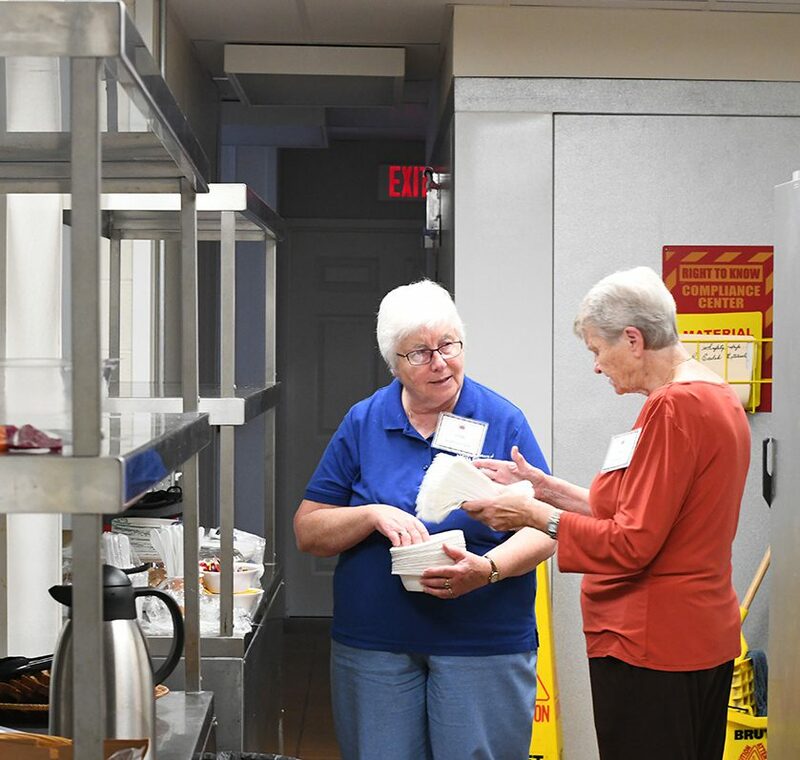 Mary McGlone, CSJ, author of Anything of Which a Woman is Capable: A History of the Sisters of St. Joseph in the United States, kept us spellbound with the story of the early days of the first sisters in the United States. Mary continually reminded us of the importance of reflecting on our past as a way to lean into our future. 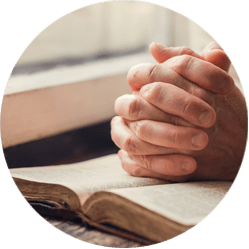 The Life-Long Faith Formation Committee has interesting activities planned for the next two years including a series of ten T.I.M. (Together in Mission) Talks. The Federation experience is always a reminder that God is walking with us as we embrace our emerging future. We are looking forward to the next time we meet. 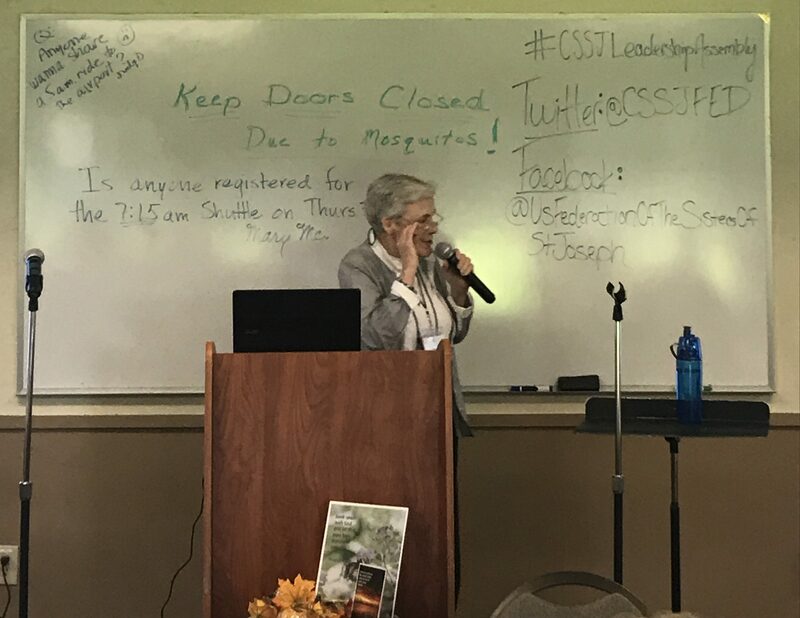 PICTURED: New CSSJ Federation Logo; table dialogue ‐ a key component of our days together; Mary McGlone, CSJ, speaks of our early days in the United States.